InfoSphere DataStage v11.3 C2090-424 exam is a required test for IBM Certified Solution Developer-InfoSphere DataStage v11.3 certification. This certification is a hot one in IBM certifications. Many candidates want to pass IBM C2090-424 exam to earn this certification. Before you decide to schedule IBM certification C2090-424 exam, you will want to know the answer of the following question: how to prepare IBM C2090-424 exam well? First, learn IBM C2090-424 exam information. In real InfoSphere DataStage v11.3 C2090-424 exam, there are 64 questions. You have 90 minutes to complete IBM C2090-424 exam. The number of questions required to pass is 41. The available languages are English, Japanese, French, German. You can register IBM Certification C2090-424 exam at Pearson VUE test center. Second, master IBM C2090-424 exam topics. IBM Certification C2090-424 exam topics cover the following 11 sections: Configuration 6%, Metadata 5%,Persistent Storage 15%, Parallel Architecture 9%, Databases 6%, Data Transformation 12%, Job Components 8%, Job Design 14%, Monitor and Troubleshoot 9%, Job Management and Deployment 8% and Job Control and Runtime Management 8%. Mastering IBM C2090-424 exam topics are an important part in your preparation. Third, practice C2090-424 real exam questions. Online IBM certification C2090-424 real exam questions are also helpful in your preparation. 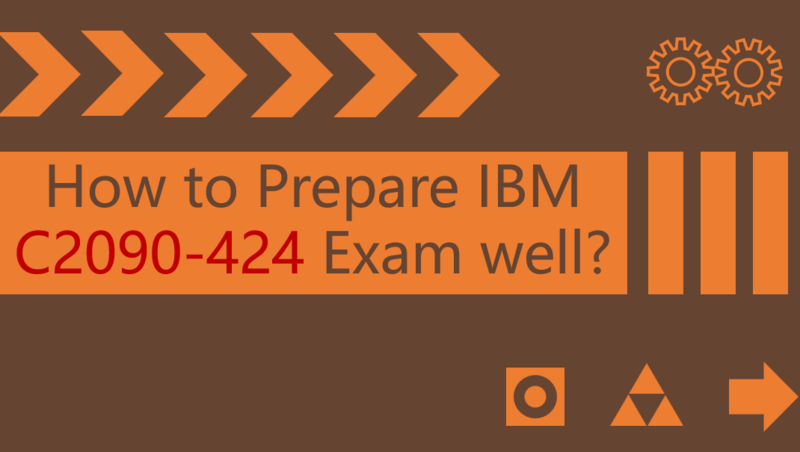 With IBM C2090-424 real exam questions, you can test all the related exam skills. There are 64 Q&As in our IBM C2090-424 real exam questions, which cover most of the test questions. Besides, our IBM certification C2090-424 real exam questions can guarantee you success in the first attempt. Follow the above 3 steps to prepare InfoSphere DataStage v11.3 C2090-424 exam, you can pass the test successfully.